After printing and branding over 20,000 different lanyard orders for our clients we’ve seen every kind of logo; from the simple and effective to highly influential, and the downright ugly. Safe to say we know logos! That’s why we created this guide to help you perfect your corporate brand or logo prior to getting it printed on dozens of promo items or marketing collateral. Although you may think that creating a personal logo would be a breeze for any graphic designer, that’s actually only half true. Creating a personal logo can sometimes be quite a challenge. You are your toughest critic. We always want to make sure that all of our work looks presentable, professional, and creative. If our work is anything less than what we consider to be perfection, it will most likely weigh on our minds. This is especially true when creating a logo that is meant to represent you, your business, and your work. You see, for graphic designers, a personal logo is almost like giving a sample of their work to perspective clients. Your creation will give perspective clients some insight into how you do work, and what your work comes out looking like. The truth is a personal logo can sometimes have quite an effect on a graphic designing business. A good logo can draw more business to you, where as a poorly made and thought out logo can actually drive clients away from you. Think about it. Why would you hire someone who has trouble creating their own logo? We have put together some important tips that will help you create a logo that represents who you are and what your business is all about in a professional, creative manner. First thing’s first. You should put together a list of key points that will help you focus on some important aspects of creating your own personal logo. As you have completed each key point on your list, check it off, and move to the next one on your list. Here are some key points that should be on your list. Write down a creative briefing for yourself, just as you would for a client. Even though you are designing your own logo, it is still important to have a creative briefing just like you would do with a regular client. It will help you keep things organized and in perspective. After all, you’re going to want the same things out of your services that your clients would. You will have to determine what kind of audience you will be targeting, what you want your logo to say to people about your business, and you will have to figure out how you want people to look at your particular brand. A personal creative briefing will help you bring your ideas to life, and determine which ideas will be best for your business and your brand. You can also use this to help you stay within budget and within a specific time frame. This is important because you don’t want to waste all of your spare time and money on one logo design. You can choose any variation of your name that you’d like. You don’t have to use your full name to be considered professional. You can use a nick name, your middle name, your initials, or you can even mash up your first and last name to come up with something that is uniquely you. The example logo below belongs to Citigroup. They are large enough and well known worldwide therefore they are able to use a shortened version of their name which is globally recognized. The Citigroup has one of my favorite logo designs. It incorporates the Citi wording with the umbrella design that utilizes the lower case T with the red canopy. The design symbolizes the marriage between Citibank and Travelers Group which combined in 1998 to form Citigroup. However, if you like using your full name, that will work just as well. No matter what you decide, you should choose something that describes who you are, something that you can incorporate into your personal logo. Get a pencil and a piece of paper and try writing your name in different ways and in different styles until you come up with something that strikes a creative bug in you. Unless you are big name Corporation, using just symbols and pictures will most likely not work for you. You want people to discover who you are, not wonder who you are. So it is important that you incorporate your name somehow and somewhere in your logo. Whether you decide to use a nick name, a pen name, or your initials, make sure it is in your logo somewhere. People want to be able to see a connection between the brand and the person. Incorporating your name into your logo will help perspective clients make that connection. This can sometimes be the most challenging part of creating your own personal logo. Choosing one perfect inspiring idea for your design can be hard. Although certain techniques can be useful, such as word cloud, there are other tricks and tips that may prove to be more helpful when creating your own logo. You can even Google logos in your companies field. It is always a good idea to research what other successful graphic designers are doing. It will help give you inspiration as well as give you a sense of what seems to be drawing in clientele. You can even search for graphic design galleries online to help get your creative juices flowing. Completely copying someones work is clearly never a good idea, in fact it is illegal. However, you can jot down certain things about different designs that stood out to you, and then you can incorporate them in your logo in your own unique way. 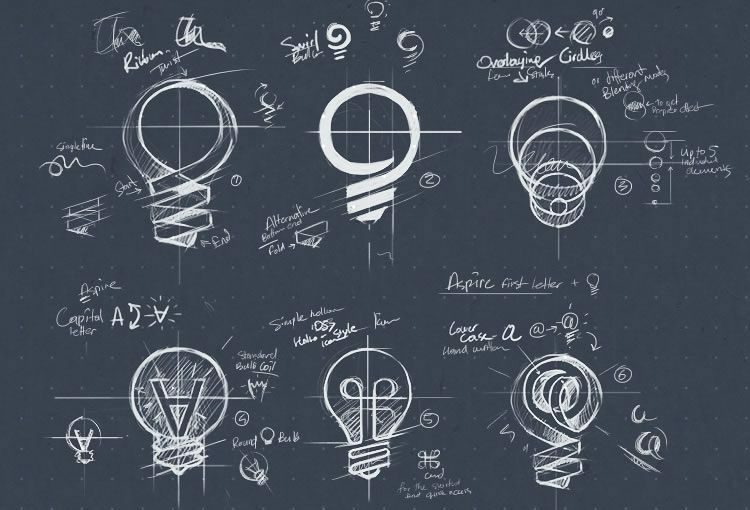 Believe it or not your name may be enough inspiration for you to come up with your entire logo design. You can incorporate the meaning of your name, or something your name might sound like. In other words, if your name is rose you can incorporate a rose into your logo that has your branding colors. Or, you can make it something a little more personal for people using a nick name or pen name. For example; I have friend that is nicknamed shelly bug. So, when she was creating her personal logo, she incorporated a bug, because her nickname is Shelly bug. However, make sure you make the purpose of your services apparent as well. You don’t want people to get confused as to what your services are. Not everyone will be able to get great ideas just by using their name. However, you can still incorporate a little bit about who you are or what you like to do. If you are someone that enjoys to sing, you can incorporate a small microphone or a song note somewhere. Something that will make your logo stand out, and subtlety represents who you are. You can even incorporate something that represents what you specialize in or a trait that you’re known for. For example, if you are known for getting your work done in record time, you can add something that represents speed. If you specialize in a specific clientele demographic, you can incorporate something signifying you’re unique clientele base. Note: Do not get carried away and accidentally make it look like you’re advertising a service that you do not offer. For example; if you choose a fast car to signify your fast services, make sure you are not making it look like you are in the business of selling cars. Although this is your personal logo that you are creating, it is important to know how others see you from an outside perspective. You will always see yourself different than others see you. Someone close to you may see something in you that you don’t see in yourself. Remember, you are making this logo to appeal to perspective clients. Ask people you trust to tell you how they see you. You can use it, and incorporate it into your logo. What others tell you they see in you, will most likely be what perspective clients will see in you. So incorporating this into your logo can be very beneficial. When you meet with people, they will be refreshed about how truthful your logo portrays you to be. If you are still having trouble coming up with some solid ideas, don’t panic. You can always use your signature style or look as inspiration for the graphics in your logo. Are you known for your unique hairstyles? You can put a cartoon outline of a face and some hair that is done in the same unique way yours is usually done. If you have a certain pattern or print you often wear you can use that. If glasses and a striped tie is your trademark you can use that. Or you can do a fun cartoon portrait of your face. There are a lot of things that you can come up with when using your look to brainstorm for your logo. No matter what you come up with it will always represent part of who you are, and you are less likely to end up with a logo that looks like it’s for a business you’re not a part of. 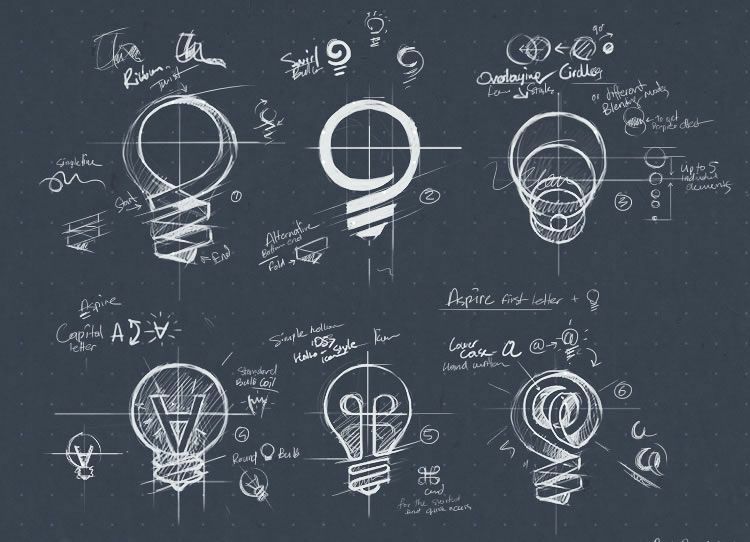 Sometimes getting out a pencil and a piece of paper to sketch different designs, mock ups of images, and lettering to incorporate into your logo may be exactly what you need to create an amazing logo. A design that represents you and your business in a unique, yet professional way. Hand drawing can lead to some amazing new ideas and designs that you were unable to see when you were creating them on a computer. You may be able to draw in some unique little designs that personally represent who you are, or what your business stands for. It adds even more of a personal touch to the logo. After you have decided what the general design of your logo will look like, you will have to refine it. Fix any flaws, tweak any issues it may have. You should look at every aspect of your logo and polish it to perfection. Always remember to keep the demographic of your audience in mind when creating your personal logo. Never copy or follow someone else’s style. Original is always better. You should always want to lead, and never want to follow. You should always try and have balance throughout your process. Remember, everything doesn’t always have to be complicated. If you keep things relatively simple, you will free your mind up so you can come up with some fresh creative ideas. Only concentrate on two designs at a time. If you decide you like something else better, move on to two different ones. If you focus on more than two at a time you may start to get confused and overwhelmed. Always be aware of important things like font style, shapes, colors, etc. You should always try and look at negative space as an advantage, rather than a stress point. When you are creating your own personal logo you have to make sure you are designing something you expect to have around for a while. Yes times change, and yes sometimes you have to change certain things about your business to keep up with the times. However, that doesn’t mean that you have to change your logo every time we enter a new era, or every time a new trend comes along. Having a logo that is ever-changing can be very bad for business for a couple of reasons. First of all it can be very expensive, and the way things are today I don’t think anyone can afford to be spending needless money continuously. In addition to the high cost, changing your logo and/or branding all the time will hurt the reach of exposure your business will get. It is hard for word to spread about your business if the logo is always changing. Furthermore it’s hard to look for a business that a friend described, when the logo no longer looks the same. So when you are designing your personal logo, make sure it is something that will be around for years to come. Don’t ever water yourself down when you are brainstorming for your own personal logo. If you are little wacky, portray that in your design. Don’t try and make your design look bland and “corporate like” when your personality is the complete opposite. Your uniqueness is often what will draw people to you. Not only that, but what happens if a client comes to you expecting someone that is a low toned type of person, and your unique and beautifully quirky self comes walking out? They will feel misled. That is never a good place to start with a new client. If you are a laid back and classic type of person, then by all means, accentuate that in your design. You want your design to represent everything about you that is unique and separates you from others. When you are creating a personal design, you may end up with a large number of rough drafts. We are always very critical of our own work, and we want things to come out exactly how we envisioned it. So we end up with a stack of drafts that were thought up during the process. Creating a personal logo usually means you are creating a brand as well. So this process will involve a lot of experimenting, which is also partly to blame for that high number of rough drafts that you came up with. This is actually another reason why playing around with some old school pencil and paper is useful. Always keep in mind that you are going to have a lot of really rough drafts. Don’t ever let that discourage you, it’s normal. In fact, you should save them. Everything doesn’t always work out the way we originally planned, and if you ever need to look back for some ideas, you can use your rough drafts. Color branding is vitally important because it is one of the first things that stick in a person’s head. For some this may be a simple task, but for others it can be a bit more challenging. You want something that is memorable, professional, and not too tack. Take your time when you are thinking up your signature color scheme. When you are thinking of colors, try to put a unique spin on the colors you choose. Of course you can incorporate your favorite colors, but that is sort of expected. You can think about the affect you want your logo to have on people, and apply a color that you associate with that emotion. The possibilities are endless, so take your time when you are deciding on your branding colors. If for some reason you are only able to print your logo in black and white shades, you should be 100 percent sure that your design will look good and eye-catching in black and white. After you have confirmed that your design will be inviting in black and white, you can adjust the hues for a unique effect. 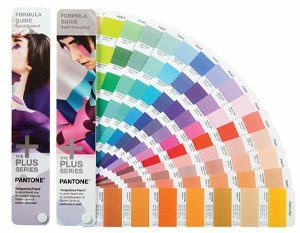 It is imperative that you use Pantone coloring so that the colors in your logo design are consistent and true throughout the design. It is obvious that at the end of your process you should look over your work to make sure you are completely satisfied and ready to have your logo go public. However, that is often easier said than done, especially when it is your own design that you are critiquing for your own personal business. You are the one who has to express satisfaction to yourself to feel like it was a job well done. You are only truly satisfied with your work when a client expresses gratitude for a job well done. Give yourself some time to look it over before you reach a final conclusion. If your schedule and deadlines allow you to, give yourself about 7 days to think it over before you decide you are confident with your decision. If you don’t have that kind of time to wait, at least give yourself a day. If you give yourself some time to think it over, you will feel more secure about your final decision.